Ankle syndesmosis injuries, also known as a high ankle sprain, commonly occur during high impact tackles or collisions that involve forced lateral rotation of the foot in ankle dorsiflexion. Syndesmosis injuries can be missed in the early stages as the degree of pain and swelling may not reflect the severity of the injury. Early diagnosis of syndesmosis injuries is key in preventing persistent pain, disability and limited ability to return to play or activity. 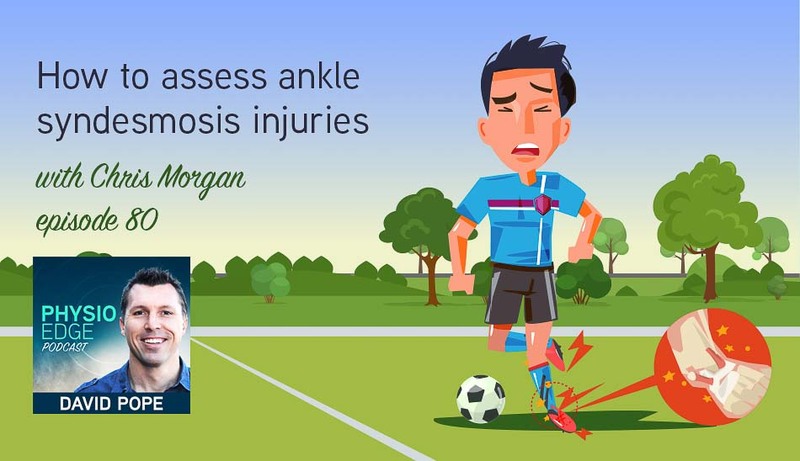 In Physio Edge podcast episode 80, English Premier League Physiotherapist Chris Morgan, and David Pope explore how to assess and diagnose ankle syndesmosis injuries.